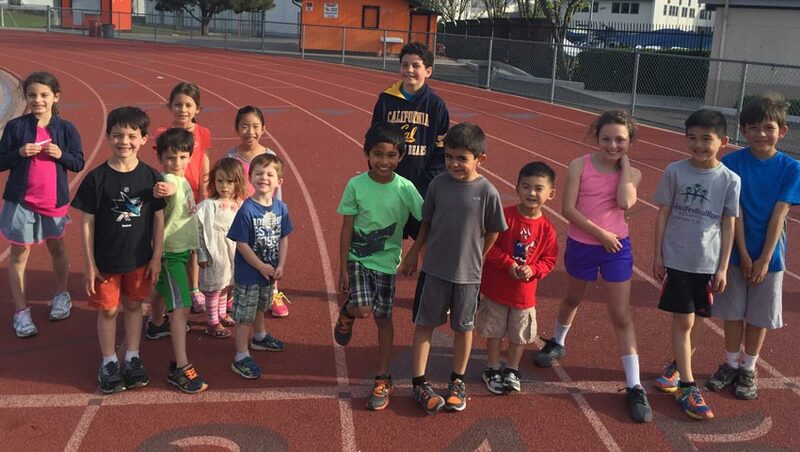 Kids and youth represent the fastest growing demographic of the sport of triathlon. Many of us middle-aged triathletes now have kids to whom we would like to introduce triathlons or that are already competing. Unfortunately, there is a dearth of opportunities in the east bay area for young triathletes to meet others involved in the sport, to learn more about the sport, to train with others, and to compete together while encouraging one another. We hope to provide a group for kids that are interested in participating in triathlons as part of FMRC. Our main goals are to have fun, to learn, to help one another improve, and to encourage one another. We are open to young triathletes from those still riding with training wheels to those on the cusp of competing in adult races. However, our main age range is from those able to swim, bike, and run on their own up to middle school. Those younger than that will likely need additional attention from their parents at group activities, while most high school athletes will probably find the training not to be challenging enough. Nevertheless we hope that there will still be something to offer to all young triathletes. Let us also say a few things that we specifically do not aspire to do. First, we are not the place to go to learn how to swim. There are many places in the area that offer swim classes, and there are numerous swim teams that kids can join. In fact, we encourage kids to be involved in traditional organized sports, especially swim and running teams, as a well-rounded athletic background is good for kids and those teams are going to be the best place to learn to swim or run fast. Second, we are not a “coached” team in the sense that most sports have a coach that runs the practices, assigns events or positions, etc. We will, however, utilize the extensive experience of parents and other members of FMRC to lead rides or runs as well as to teach important skills. From time to time, we may bring in outside experts to give clinics, etc. We will also help kids and their parents to plan a training program to achieve their goals. For the most part, though, we are not trained coaches, so those interested in professional coaching should find someone suitable with whom to work. We organize a weekly mountain bike ride that is often followed by a short run at Shadow Cliffs in Pleasanton. We are looking to add another regular workout in the near future. We also will periodically hold clinics on various aspects of the sport led by experienced athletes from within FMRC or trained coaches from outside. Finally, we will be volunteering at a race in the area. We are in the process of ordering tech shirts for the kids. There are also some of the regular club kits that may fit some of the older kids.